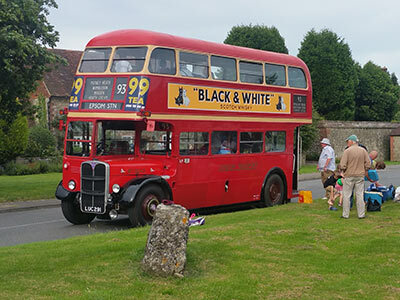 For your wedding, birthday, anniversary, a day at the races or school prom, our 1950s vintage buses will add some nostalgic novelty and a touch of class to the occasion. Your group can travel together and arrive relaxed, without having to worry about parking. Much more enjoyable than a convoy of cars. With their attractive curved bodywork and superb paint finishes, our buses are real head-turners. The interiors are equally pleasing, with comfortable seats re-upholstered to the original pattern, and the ambience of the cream, brown and green panelling complemented by varnished wooden floors. In the evening the tungsten bulbs create a warm homely glow. 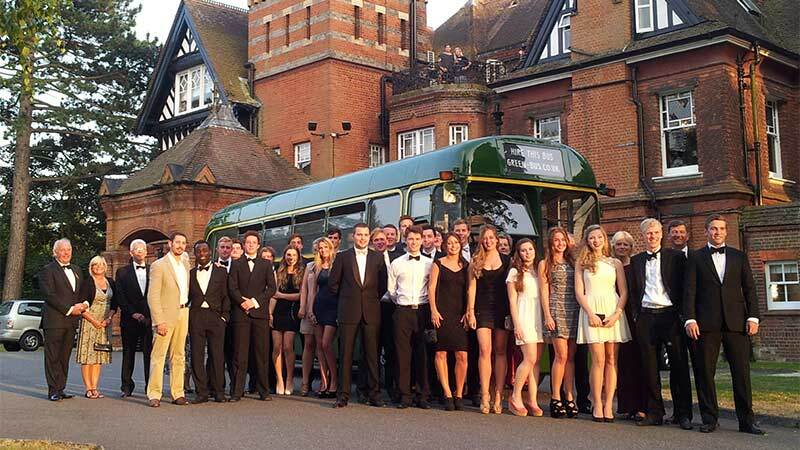 We offer a 56-seat double deck red bus and a 39-seat single deck green bus. 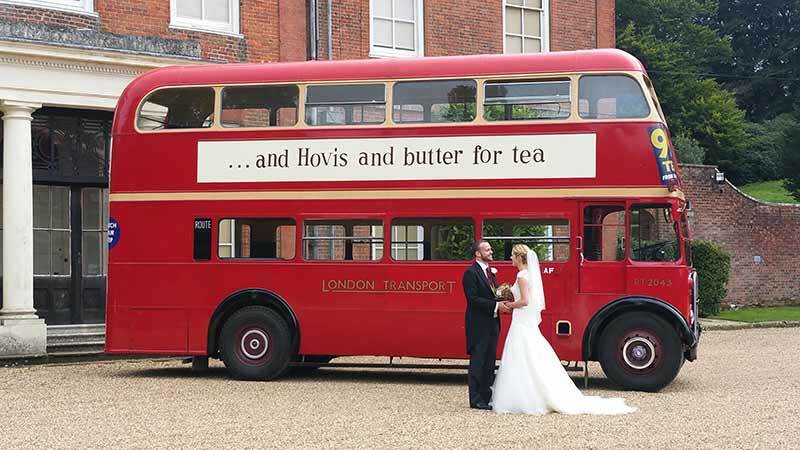 You can hire our buses in Surrey, West Sussex and South-West London. 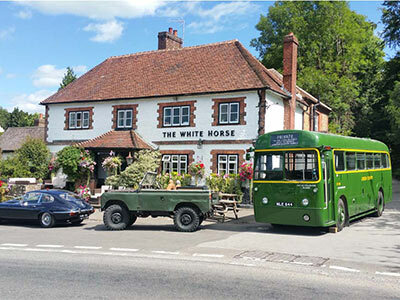 As they’re narrower and shorter than modern coaches, they can get to places where others can’t, especially the single deck which can squeeze along narrow country lanes or under low trees. Our buses have a maximum speed of 40mph, so are at home in town or on country roads. They’re not suitable for motorways. We love being part of weddings and parties, but don’t do late night trips. Guests often want to leave in their own time, making taxis more suitable for this.